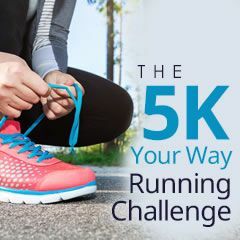 SparkPeople's 5k Your Way Running Challenge will make fitness fun, as we train to run a 5k in less than 5 weeks. Are you ready to kick your workouts up a notch? Welcome!